A veteran club owner says the shooting last week at indie-rock and hip-hop club The Room might have been prevented -- if a decade-old law hadn't disallowed off-duty cops from working at clubs serving alcohol. As a former owner of several music nightspots including the Pterodactyl, 13-13, Milestone and Jeff's Bucket Shop, Jeff Lowery says he's "had to deal with more problems than most" club managers. "If I have to guess, if The Room had an off-duty policeman over there the other night, the problem would have been averted," said Lowery, publisher of the local music 'zine AMPS 11. Mandy Giannini, a Charlotte-Mecklenburg police spokeswoman, said the policy was changed to help law enforcement avoid compromising situations in handling calls, whether breaking up fights or enforcing liquor laws. "We did not want our officers to be placed in a situation where they must choose between a loyalty to the bar owner who pays them for off-duty work and their duty to the City as an officer," Giannini said. Word spread fast among musicians and club owners that an unknown assailant had shot 37-year-old Charles Gaines of Charlotte in the neck at about 3am on Tuesday, Aug. 23, in The Room's parking lot. Gaines was seriously injured and police are still investigating. It was the kind of news that every so often shakes up Charlotte's music scene, although it's a rare occurrence in this neighborhood near the Park Road Shopping Center, populated by yoga centers and bagel shops. "It's an aberration, basically," Lowery said. "I know the people at The Room. They're good people. You can't control everybody." Before the shooting, the biggest problems at The Room were far less serious: Two fights with beer bottles, said police spokeswoman Giannini. Neither resulted in prosecution because the victims knew the people involved. Security at nightclubs depends on a lot of factors, Lowery said. Some can be controlled; some can't. One factor, he said, is the types of acts a club books. Several people at nearby bars, who wouldn't give their names, suggested to Creative Loafing that the open-mic hip-hop The Room featured on Mondays drew a more violent crowd than the club usually attracted. But a bartender working at The Room Thursday night -- who wouldn't give his name, either -- said it wasn't fair to blame the music, particularly since the shooting happened after the club had closed and employees had left. In a voice mail message, owner Mike Morelli said Monday had been hip-hop night at The Room for more than a year and a half without any problems. He could not be reached by press time for further comment. Lowery, however, said he felt there was a risk in introducing what he called a "gangsta feel" to the club. And "a lot of rap these days, unfortunately, has that gangsta feel to it," he said. Of course, violence is not exclusive to hip-hop; country music taverns, for instance, have long been known as potential hotbeds for hotheads. And as Zach McNabb, co-owner of The Neighborhood Theatre in NoDa, pointed out, not all hip-hop is violent. McNabb said the relatively laid-back Neighborhood has supported almost any genre of music "as long as it's nonviolent. We have done tons of hip-hop-related shows, and they've all gone 100 percent smoothly, no issues whatsoever." Kristen Thompson of Tremont Music Hall said bouncers at her club are more on the lookout for car break-ins than guns. Occasionally, she said, the club experiences a "spat" in the parking lot, most recently a couple of months ago when a few neo-Nazis showed up for a punk show. When CL contacted Thompson last week, she hadn't yet heard about the shooting at The Room. "We're worried more about underage drinking than people getting shot at," she said. As of Monday morning, no one had been arrested in the Room shooting, and Carolinas Medical Center provided no additional information on Gaines. He had moved more than a year ago from the address listed on a police report, according to a former landlady. No one CL spoke to thought the shooting would have much effect on attendance at other clubs. Thompson said Tremont was most affected by the Rhode Island Great White incident of 2003, when pyrotechnics at a concert by the hair-metal band sparked a fire that killed nearly 100 people. The blaze drew between 20 and 30 phone calls from patrons and parents inquiring about safety at the Tremont. Few people CL spoke with said the shooting was a reflection of Charlotte's music scenes. If anything, said J.D. Thompson, 34, who lives less than a minute's drive away from the Room, the incident underscores how important it is that patrons watch out for themselves when leaving nightclubs. 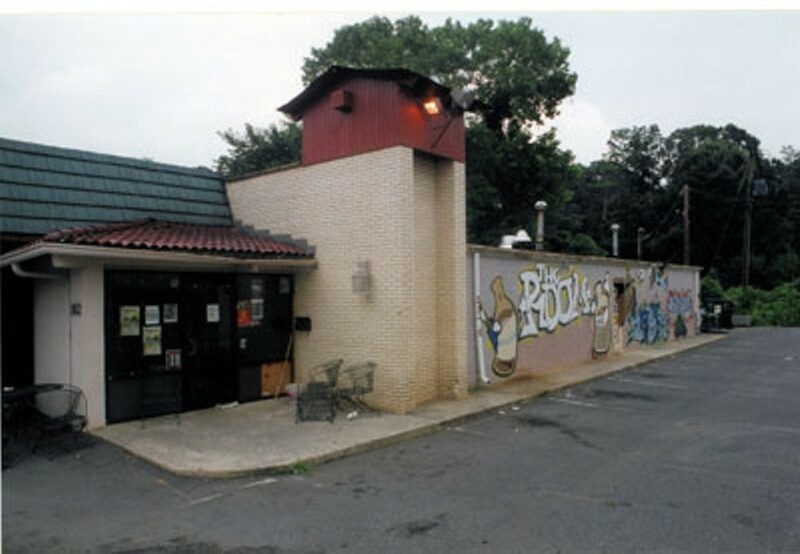 On Thursday, just days before The Room followed through on earlier plans to close its doors for good, Michael Price was packing up the chain-link fencing he'd often used while DJing at the south Charlotte club. He had a few things on his mind. As Price was set to spin for that night's show, the club's owner was nowhere to be found and wasn't returning the DJ's calls. It was time to find another gig. "I was going to throw my last hurrah tonight," said Price, 29, as he loaded up his gear, "but it looks like that's not going to happen."